The Faculty of Medical Health and Sciences at the University of Copenhagen is expanding. Not just by means of more floor space in a ground-breaking new building, but also in terms of its AV installations. 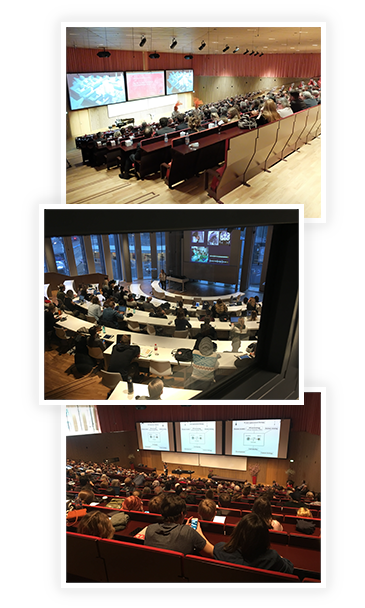 The University has completed one of the biggest AV installation projects ever undertaken in Denmark, ensuring a top-class learning environment for scientists and students. Panasonic technology is at the heart of the development. The Panum Institute is part of the Faculty of Health and Sciences at the University of Copenhagen. Thanks to a donation from the A.P. Møller Foundation, it has been extended with a new visionary tower block, known as the Mærsk Tower. The 75-metre-tall structure rises above all of the old buildings at the city area of Nørrebro, taking the institute from 105,000 to 145,000 square metres of floor space - an expansion of 40 percent. The architecture, interior design and installations combine to create a unique building with the purpose of constituting an international hub for medical education and scientific work. In fact, it provides some of the world's most advanced facilities for research and teaching on health and disease. When creating a state-of the-art modern learning environment, the main concern was ensuring there was AV capability to match. According to Anders Jørgensen, contractor and head of the AV installation at Stouenborg, it first and foremost requires carefully detailed planning and testing to ensure that the products used are appropriate to the space. "When testing products, we have very strict criteria. So we had to run numerous tests, mock-ups and trials from different brands to see what was possible and how various installations would look and perform to ensure the best result - from info screens to projectors and projector screens. And we actually had to revise our strategy several times when tests demonstrated that a product did not meet our strict criteria," Anders Jørgensen says. "The technical quality and design had to go hand in hand," said Anders. "In the end, we went for Panasonic, which was able to offer solutions that were not available from competitors, especially in terms of projection. First of all, Panasonic was the only projection brand offering a short throw lens that could project an image width of 5,3 metres at a distance of only 2 metres. Moreover, the projectors had an extremely low noise level - under NR-30." "Moreover, we do not regard individual units as 'the product', but as a part of the package, and Panasonic offered the best combination of different solutions that combine great image quality with high durability. Altogether, these are important differences that helped us ensure the best result possible for the university." Offering a complete view of Copenhagen's historical skyline, the Mærsk Tower is definitely not small in size. And for that reason specifically, implementing a sustainable installation is crucial in order to ensure a low level of energy consumption and CO2 emissions. "One of the reasons why we chose Panasonic's LED projectors was that they gave us the most significant energy savings. In this way, we have not only gained the best chance of ensuring significant electricity savings, but also generated the smallest possible environmental impact, in line with the Panum Institute's sustainable strategy and green image," Anders Jørgensen added. 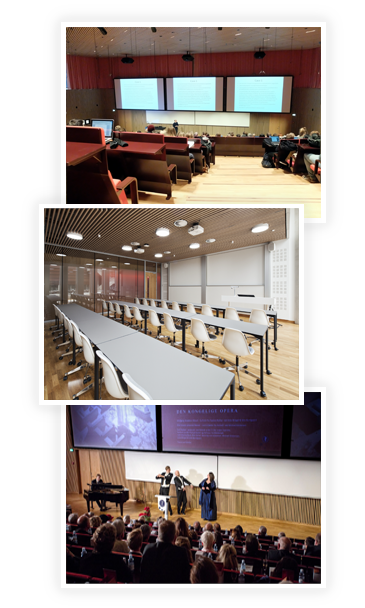 The project objectives were to create a user-friendly, state-of-the-art AV installation that fulfilled the University's technical requirements, something that has been accomplished, according to Anders Jørgensen. "After months of hard work I am very satisfied that we have been able to create a dynamic learning environment that is totally out of the ordinary in terms of functionality and aesthetics. The doors have opened to a new building of scientific research that will hopefully raise the profile of Denmark as a leading nation within scientific research at the highest level."